With the current financial year’s end approaching, there is precious little room for procrastination. With the current financial year’s end approaching, there is precious little room for procrastination. According to various research reports, less than 3% of the Indian population (~35 million tax payers) bears the total income tax burden of the country, of which, 89% fall in the tax slab of 0-5 lakh. You might have cough up high amounts if you fail to plan your taxes judiciously. Note that any delays in implementing your tax plans invariably result in non-accrual of tax benefits. The amount invested in public provident fund can be claimed as a deduction from gross total income under Section 80C. The interest on PPF account is also exempted from income tax. Most experts reckon that this is one of the preferred investment options. This scheme offers a good tax exemption benefit under Section 80CCD of the act. The contribution made by an employee to the NPS qualifies for this tax benefit and the upper limit of 1.50 Lakh (one lakh up to AY 2014-15) under Section 80C of the act. If you are invested in the stock market or are interested in doing so, invest in listed equity tax savings schemes (under 80C), for example, Equity Linked Savings Scheme (ELSS). National Savings Certificate is a scheme introduced by the government to promote the habit of savings among people. Under this scheme, the money is accepted by the government through post offices. An investor can avail tax deduction under Section 80C for such investments. Apart from offering risk coverage, life insurance premium for self and family are applicable for tax deductions. Premiums for life insurance plans covering you, spouse, and dependent children are eligible for a deduction up to Rs. 1 lakh under Section 80C of the Income Tax Act. Not only certain expenses incurred during medical treatment, but health insurance premiums are also eligible for tax deduction. Premiums paid up to Rs. 25,000 for medical coverage for yourself, your spouse, and children are eligible for deduction. Further deduction of Rs. 25,000 is available for medical insurance premiums paid for parents. The limit of Rs. 25,000 gets extended to Rs. 30,000 if the plan is for a senior citizen. 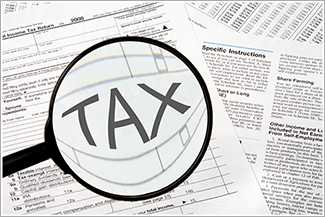 Always opt for those tax-saving instruments, which fulfil your financial goals and cut your income tax payments.